MILLIGAN COLLEGE, TN (Nov. 4, 2008) – Milligan College recently welcomed Tony Jones as assistant director for the college’s Institute for Servant Leadership (ISL). Founded in 2000, the Institute promotes Christian servant leadership through educational programs, opportunities for involvement, and collaboration and recognition of servant leaders. As assistant director, Jones is responsible for community service and service learning programming, the ISL scholarship program and assists with disability services. Previously, Jones served as a graduate assistant for Bible and student ministries at Geneva College in Beaver Falls, Pa. He also worked with YouthWorks ministering to American Indian communities in the western United States. 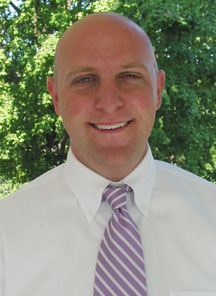 Jones holds a bachelor’s degree in business and accounting from Milligan. He currently is completing a master’s degree in higher education from Geneva College. For more information about the Institute for Servant Leadership, call 423.461.8316, or email Tony Jones at apjones@milligan.edu. Posted by tommy on November 4, 2008.